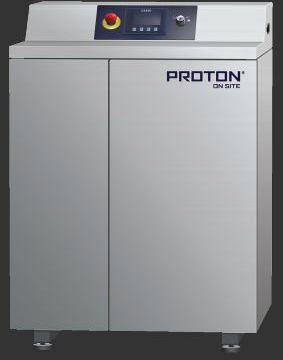 Proton OnSite's innovative "Lab Servers" provide ultra high-purity hydrogen gas to high-performance analytical devices - saving professionals valuable time and money. Proton OnSite offers its hydrogen gas lab server in three basic versions that yield a wide choice of gas flow rates to satisfy the hydrogen gas demands in the lab. A single hydrogen gas lab server can supply hydrogen gas to as many as 200 GC units accompanied by an FID. The G4800 hydrogen gas lab server is designed for multiple GC, FID and carrier gas applications. The S20 hydrogen gas lab server utilizes the same PEM technology, with twice the flow rate as the G4800. The S40 hydrogen gas lab server produces twice the hydrogen production and flow rate as the S20. The only generators large enough to handle all carrier gas requirements.